In the 1960s and 70s, Gloria Guinness was known throughout the world for her style. 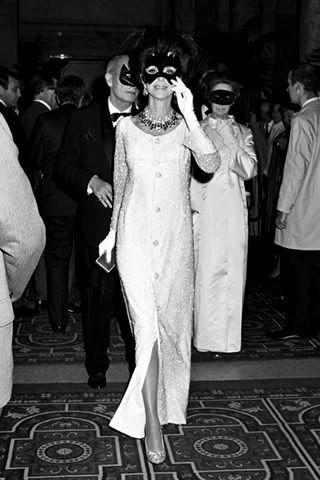 She was one of the first people to wear Pucci's capri pants, and after Truman Capote's famous Black and White Ball, "Guinness had to remain in bed for two days, for she suffered from severe neck pain caused by two monstrous necklaces, one of diamonds and one of rubies," that she had worn to the ball. Those are some serious rubies.